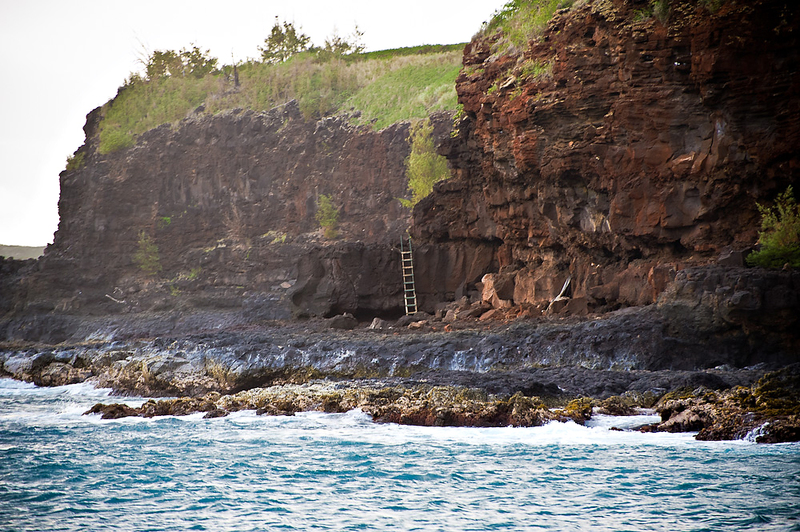 In our last post, we shared a glimpse of what to see while in the North and East sides of Kaua’i. 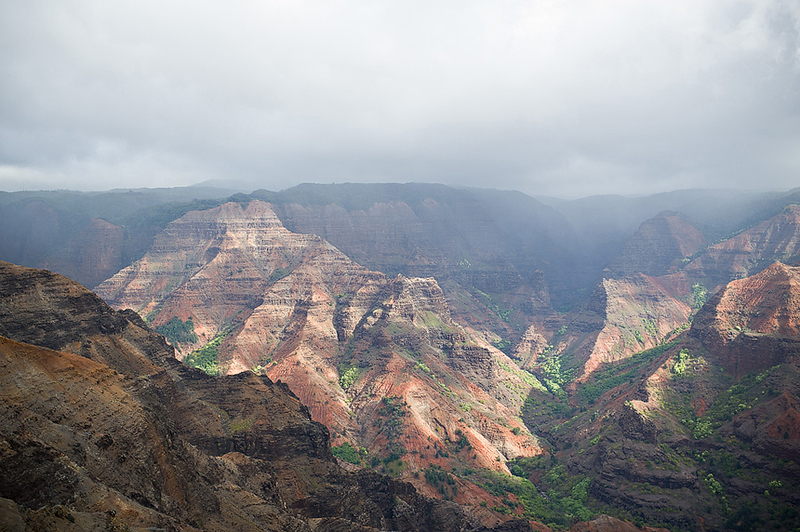 So now we want to share our favorite part of Kaua’i – the West and Southsides of the Island. 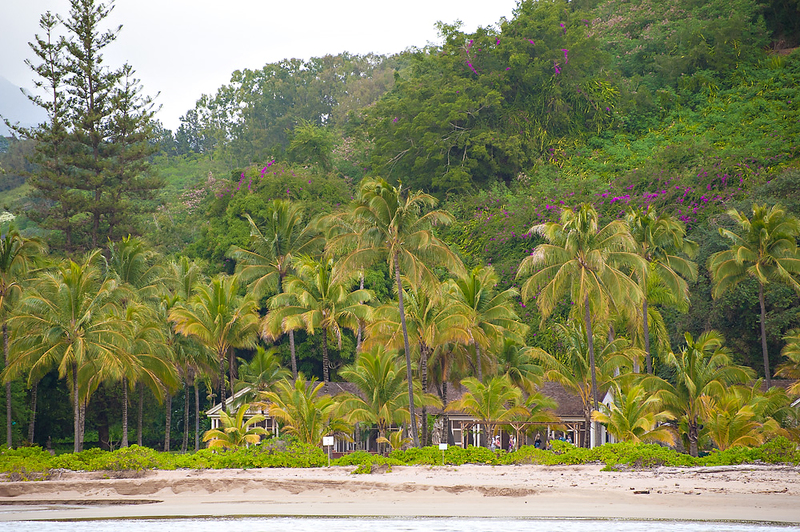 ‘Ele’ele is the hub where all the boat charter tours dock from. 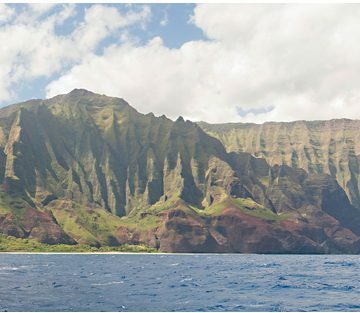 The one we used to visit the NaPali coast line was through Holo Holo Charters. 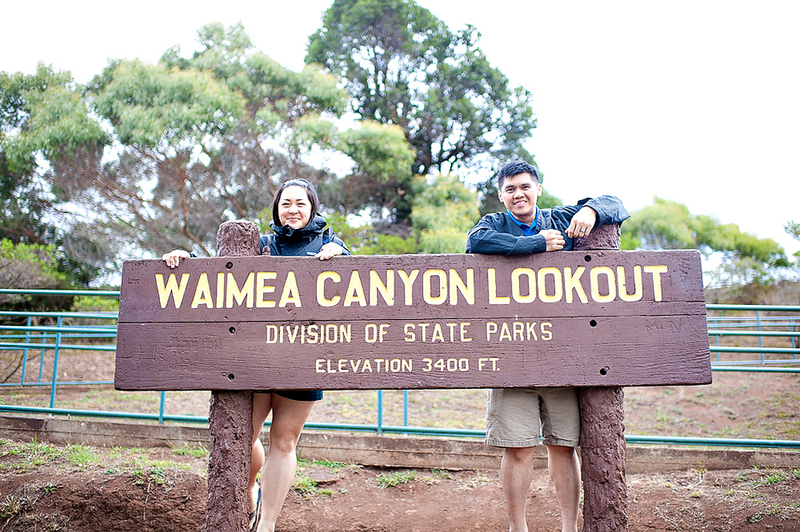 We recommend doing the NaPali tours before the high tides in the North (November-December). The first time we tried to see the coast, the swells were quite high (up to 12 feet) and it only got worse as we approached NaPali. Luckily during our last visit in May, we made it! Photos below are from both tours. 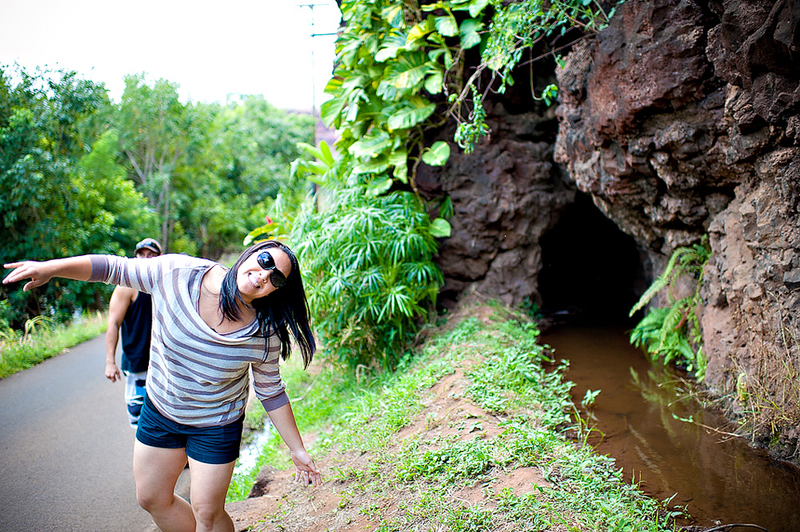 Tracy and the Menehune Ditch and Tunnel. The Menehune Ditch is an aqueduct of cut and dressed stones that was once used to bring irrigation water from the Waimea River to the taro fields. It was next to the swinging bridge, so she decided to pose next to it. 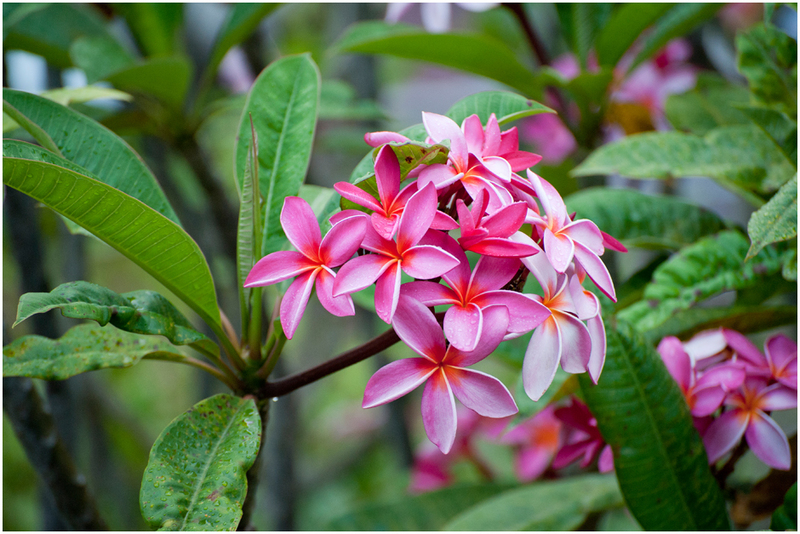 Before heading up to Waimea Canyon, make sure you stop over at Ishihara Market for some pupus (appetizers). They have the BEST poke we’ve ever had and crave it all the time. 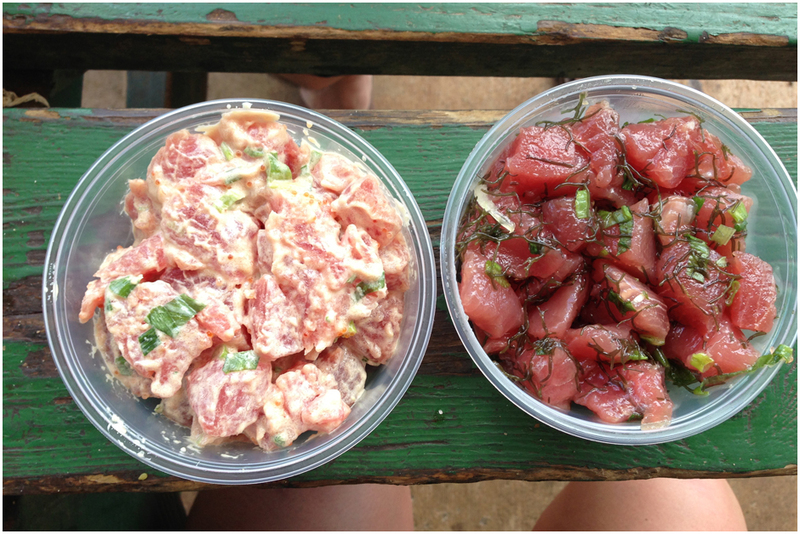 Typically, we plan on eating the poke at our next destination, but we could never wait. Luckily, the market has some picnic tables right outside! Although we ate a ton on the eastside, we love staying in the southside of the island. The sun shines there the most and the beaches are amazing. It really gave us the best of both worlds so we can drive towards the eastside for some good food and get our poke eating on the westside. 🙂 So all we really did on the southside is just relax….. 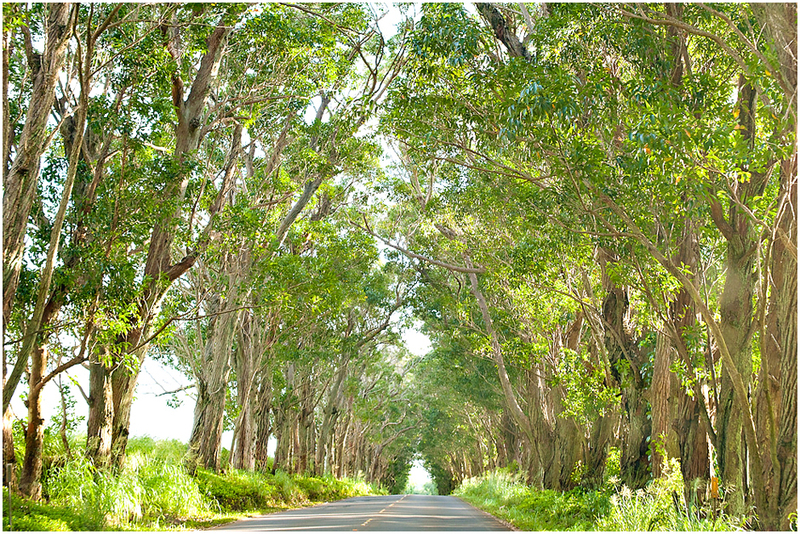 Tunnel of Trees – before heading into Koloa town, you MUST drive through here. It’s just beautiful. 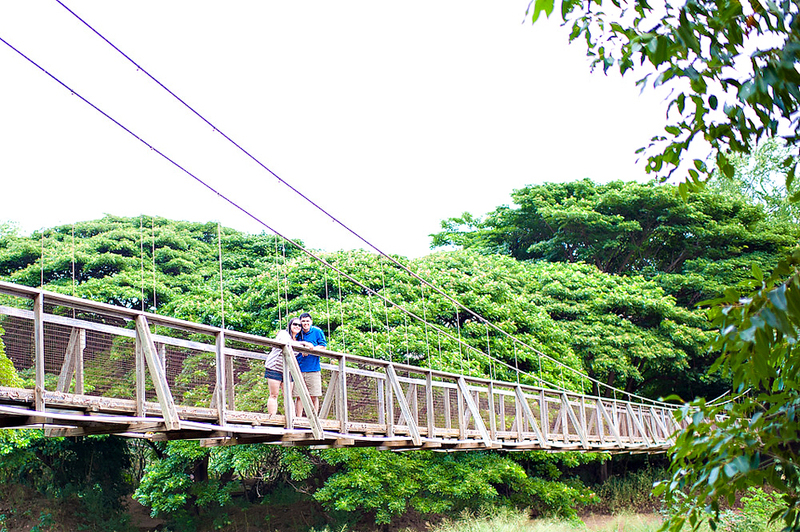 So beautiful, that we even dodged traffic to do a quick shoot there for one of our couples. And depending on the time of year you visit, you may catch some great waves down south. These were taken in May. 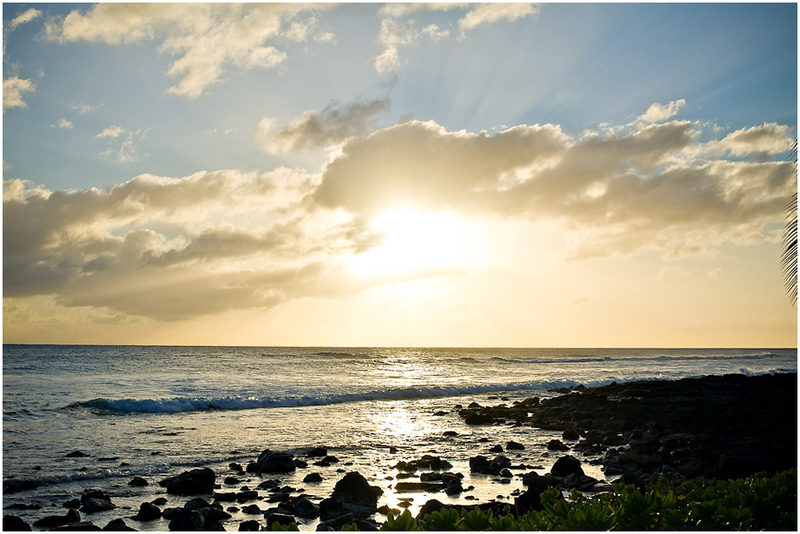 As we said, we just love the southside because of its beaches and the beautiful sunsets. 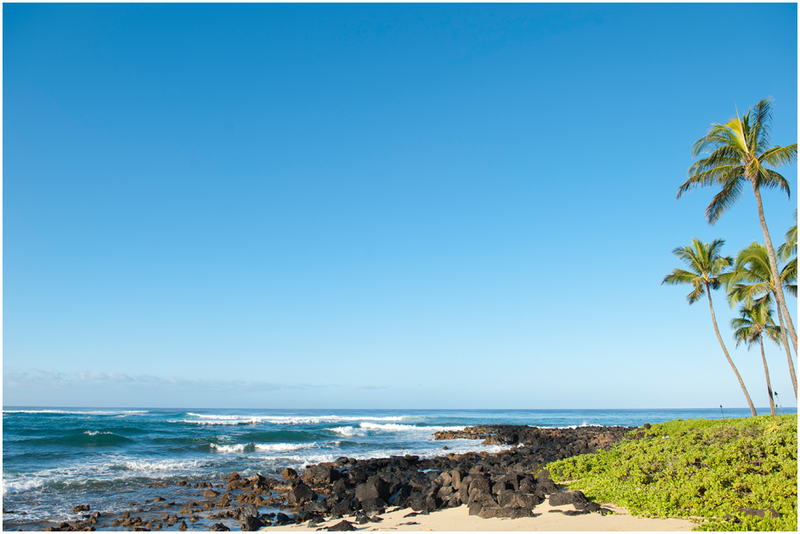 Here are a few from our stay in Poipu Beach. 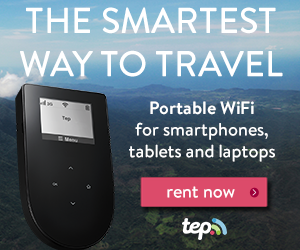 If you’ve made it this far to our post, thanks for reading and viewing our pics! 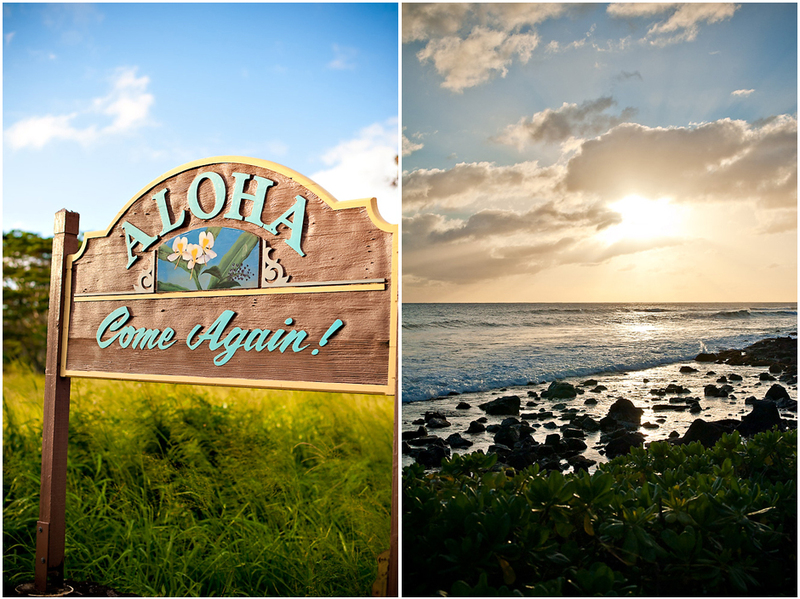 Enjoy your stay in Kauai and definitely let us know if you have any questions or want tips!